Did you think that Aloe Vera Cream is only used in sunburn? You are wrong: Aloe Vera is also a natural, smart alternative to becoming beautiful. Its antibacterial and soothing properties make it ideal for many treatments, since it is suitable for sensitive skins and full of vitamins, enzymes, minerals, amino acids and antioxidants such as vitamin A (beta-carotene), C and E, B12, folic acid and choline. 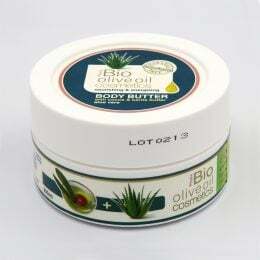 With hundreds of nutrients, Aloe Vera Cream is an ideal ingredient for cosmetics for both the face and body and hair. The therapeutic and cosmetic properties of aloe have been known to the ancient peoples for more than 3,000 years. The first historical reference to aloe is found in vase images of Sumerian King Akkad. Also, the Egyptian recipe book of the 15th century. BC, refers to its valuable qualities. The legend says that Cleopatra owed her wonderful skin thanks to an aloe-based lotion that produced a Nubian slave. So, let’s see how we can use it to make cosmetics easy, fast and effective. Αφήνει στο δέρμα σας ένα απαλό άρωμα που διαρκεί όλη την ημέρα! The Aloe Vera Hand Cream is Ideal, to moisturise and nourish and repair slight damages on your hands, while on the other hand is leaving them soft, smooth and non greasy. The cream contains antioxidants, vitamins and tocopherol. Η Κρέμα Χεριών με Αλόη είναι ιδανική για να ενυδατώνει και να θρέφει, καθώς επίσης και να επισκευάζει ελαφριές ζημιές στα χέρια σας, ενώ από την άλλη τα αφήνει μαλακά, λεία και μη λιπαρά. Η κρέμα περιέχει αντιοξειδωτικά στοιχεία, βιταμίνες και τοκοφερόλη. Just mix the ingredients until the mixture is homogenized and store in a jar at room temperature. Aloe has many advantages: it is cool, digestive, used as a moisturizer, in the treatment of wounds and is antibacterial and soothing. Looking more like a cool gel than the white toothpaste we use every morning (which is full of unnecessary or even harmful ingredients), this refreshing blend has only four ingredients and it takes only five minutes and no electricity to make! Try a new start of your day and read below how to make a toothpaste from aloe. Your children can help you make it! Stunning makeup: Many times, getting makeup at the end of the night is martyrdom. Many makeup abrasives are hard with the sensitive skin around the eyes and dehydrate. Do you want a quick trick? Put aloe gel (either from a shop or directly from the plant) to a cotton swab and remove the makeup before going to sleep. Firming Night Mask: You will need a blender to make this mask: take aloe juice and mix it with half a cucumber and one egg white. Apply it on your face and then go to bed. It would be better to use a more casual pillowcase that night. Mascara: For a healthy and effective mascara, simply immerse a clean mascara stick in aloe gel and pass your eyelashes to stay in place without getting stuck. Acne treatment: Because you have acne does not mean you do not need hydration! Apply Aloe directly from the plant to your pimples and allow it to be absorbed. 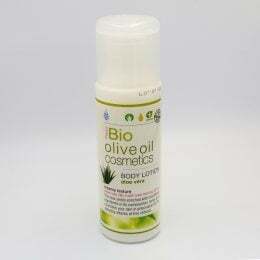 Its soothing properties help to fight inflammation while eliminating bacteria. By the end of the day, your pimples will have shrunk considerably. Exfoliating: Aloe is an excellent additive in a homemade exfoliating – not only you get all the benefits of the plant, but it is also the ideal base for blending other ingredients. Just mix a handful of brown sugar (or baking soda) with aloe and rub the mixture on your skin with circular motions. Ready! You will get smooth, shiny skin without any expense. 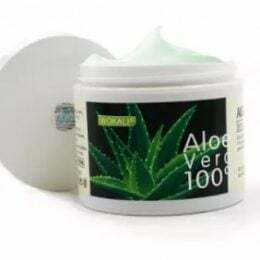 Moisturising cream: If you have oily skin or are in the middle of the summer and you feel your skin stick and heavy, use straight Aloe as a moisturizer. Absorbs extremely quickly and smooths fine wrinkles. If you suffer from rosacea, you will be relieved by putting aloe in the areas with the problem. 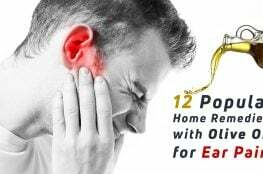 First aid box – Insect Bites: Aloe is ideal for insect bites, sunburns and other micro-inflammations. A trick is to fill an ice bucket with aloe gel and put it in the freezer. 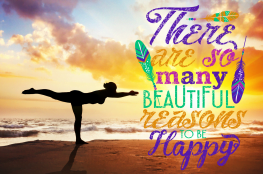 If a problem arises, it will be an amazing relief. Shaving: Some beauty professionals appreciate the use of aloe gel as a shaving cream. Spread it on the legs, in the bikini area, in the armpits and shave! (Be sure to rinse your razor afterwards). You will also find that it also works as a soothing after shaving. Moisturizing cream for dry, cracked heels: Apply aloe directly to your heels and socks during the night and she will do miracles! You can also make a leg mask with ½ cup oats, ¼ cup of aloe gel and ½ cup of your favourite body lotion and use it on your feet for super smooth skin. Add a few drops of tea tree oil for a cool scent. 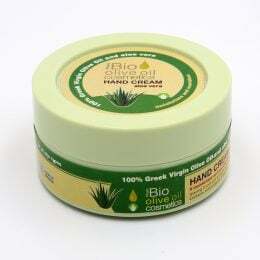 Make your hand disinfectant & skin care cream yourself: Every hand disinfectant also contains aloe to prevent dehydration. But did you know that you can make yours? Take ½ cup of aloe gel, ¼ cup of alcohol and a few drops of your favorite essential oil to give you perfume, you can enhance your aloe vera cream by adding shea butter, almond oil or jojoba oil. The blend is easier to use if you put it in a spray bottle. Spray your hands and rub them. To make an anti-aging hand treatment, take 1 tablespoon of raw aloe and mix it with 1 tablespoon of raw coconut oil. Warm it up in your hands, massage your skin and then rinse. Natural oral solution: Aloe helps the gums very much thanks to their antioxidant, antibacterial and antiviral properties. It’s no surprise that you can get rid of the unpleasant breathing with aloe buds. Just mix 1 cup of aloe with ½ cup of distilled water, 2 teaspoons of baking soda and 10 drops of peppermint essential oil. Be careful not to swallow it. Soothing the digestive system: Aloe juice helps in digestion, soothes stomach and has been proven to relieve heartburn. Excessive consumption, of course, may have a laxative effect (unless you seek it). An aloe-containing mask can work wonders for damaged hair. Apply raw aloe to the scalp, leave it for 30 minutes and then rinse. 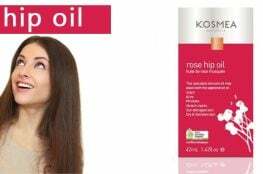 Strengthens hair and soothes irritation and itching of the scalp. This treatment has significant benefits for those women who dye their hair regularly. Put a minimum amount of gel along the divider to avoid frizz. It is appropriate if you are looking for a natural alternative or want to use a small amount of a product.